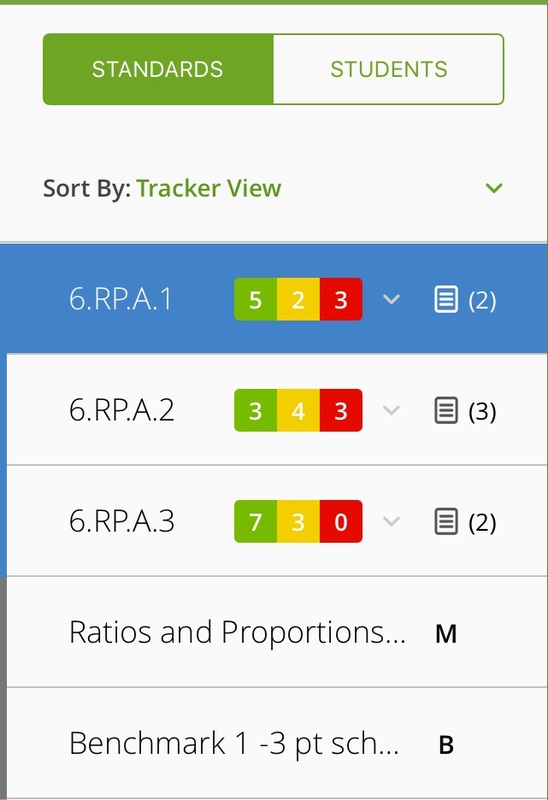 The Standards view allows you to see all the standards in your tracker, including their associated mastery levels and assessments. Anywhere you see the green, yellow, and red squares, you can tap them for a quick glance at individual student learning, ordered from remediation to mastery. Select a standard to view detailed information about its assessments that will show on the right. Selecting a multi-standard or benchmark allows you to see the standards which are associated with that assessment. 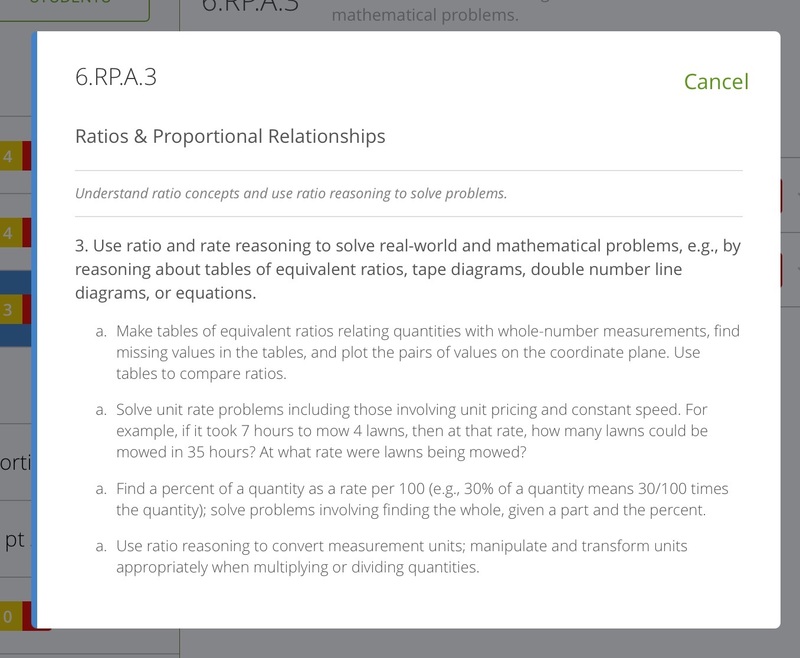 Depending on your selection, you can grade and edit assessments, or enter raw scores. View your list of trackers; sortable by Mastery to Remediation or Remediation to Mastery. 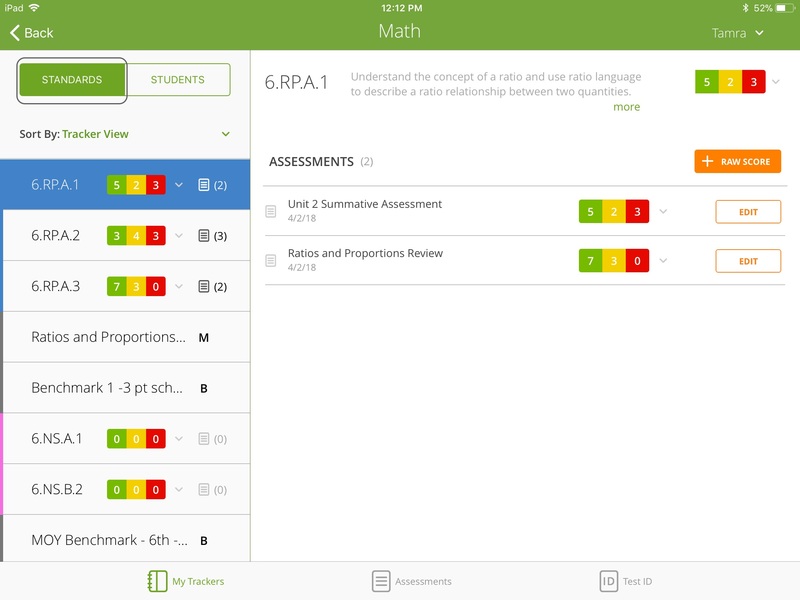 The notepad icon shows the number of assessments added to the standard. A “B” indicates a benchmark. An “M” here represents a multi-standard. You’ll see detailed assessment information about the selected standard; tap more to see the full traditional or customized standard description. If its a multi-standard (M) or benchmark (B), you will only see their associated standards. Grade—Opens the Grader for scanning and grading assessments. Edit—Opens the Grader for editing scores (not available for multi-standards or benchmarks). 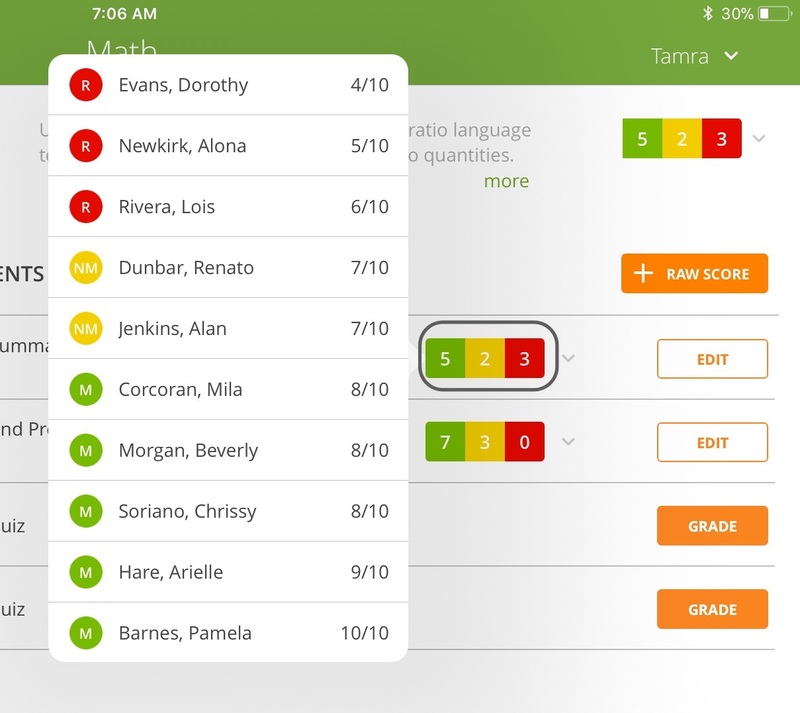 Raw Score—This allows you to score students for the selected standard without using a pre-existing assessment; you will be prompted to set mastery levels cut scores before manually scoring your students (not available for multi-standards or benchmarks).